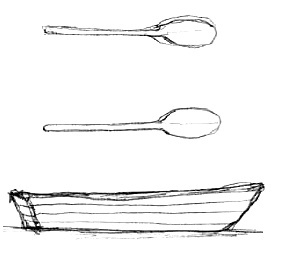 Usually when I throw out a somewhat crazy idea, it remains just that—a somewhat crazy idea, out there in the ether. But when I proposed in The Guardian recently that maybe Twiter users should buy Twitter rather than letting it get sold to another big company, something else happened. People started organizing. 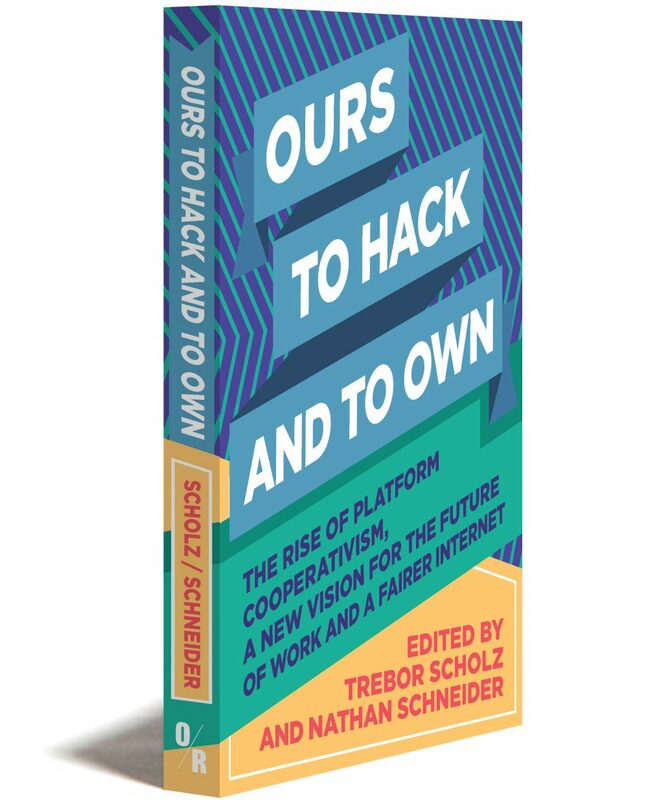 It has become the latest outgrowth of the platform co-op movement that’s the subject of my new book with Trebor Scholz (and 60+ contributors), Ours to Hack and to Own, available for preorder from OR Books. Then RT a tweet about it here! Meanwhile, here’s a bit more about what I’m up to. As an editorial for the current issue of The Nation, I’ve proposed that platform cooperativism is on the rise, backing the claim up with the stories of two very different platform co-ops: Stocksy United and Green Taxi. Want to learn about economic democracy in business school? Good luck. In The Chronicle of Higher Education (available here for a month before getting paywalled), I consider how and why it’s virtually impossible to study this sizeable chunk of the economy in the United States. In addition to the stuff I wrote, I’m featured in two recent articles in Shareable —one on art co-ops and one on gig economies—plus an interview with Grand Rapids community radio and a report that includes my agitating around platform co-ops in Australia over the summer. Okay, that’s it. Take heart! The Internet we’ve been waiting for is now available for pre-order—or, at least, a book about it. For the past couple of years, New School professor Trebor Scholz and I have been working the support and build a movement to develop more democratic, fair, and accountable ownership models for the online economy. We organized a conference, traveled the world, and mapped the ecosystem. We also edited a book, with about 60 phenomenal contributors, from Harvard’s Yochai Benkler and Boston College’s Juliet Schor to filmmaker Astra Taylor and Frontline star Douglas Rushkoff. It’s not quite out yet—I’m dealing with the page proofs this week—but it’ll be shipping by next month from OR Books, a publisher that has built a platform-monopoly-busting business model in its own right. Momentum is building. Just last week, UK Labour Party leader Jeremy Corbyn issued a manifesto that explicitly calls for creating platform co-ops. We hope that this book will help show that online democracy is both a live option and a moral necessity. Meanwhile, in the September issue of Vice, I return as economics columnist with a report on Enspiral, a remarkable co-working network based in Wellington, New Zealand, which shows how trust can become not only a cooperative advantage, but a competitive one. If you missed it, also, I recently reported for Vice about the latest on ColoradoCare, the controversial ballot proposal poised to bring cooperative, universal medical coverage to all the state’s residents—now, with the help of Bernie Sanders. And watch out, because I’m still playing around in various ways, like for instance with a shorter form of the URL; both http://ntnsndr.in and n@ntnsndr.in work right now but we’ll see if it really seems worth keeping. In the meantime, see y’all there! What would it take for black lives to matter in America? In this month’s issue of Vice magazine, I take a long look at one answer to that question in Jackson, Mississippi. There, in 2013, voters elected black-nationalist lawyer Chokwe Lumumba as mayor based on promises of direct democracy and cooperative enterprise. Lumumba died unexpectedly less than a year later, but the story of what he tried to carry out in Jackson remains a possible future for Black Lives Matter—especially now that BLM spokesman DeRay Mckesson is running for the mayor’s office in Baltimore. Please share this story far and wide! You can simply retweet this or share this. You can also download the print spread. In addition to the excellent editorial work by the team at Vice, I’m grateful for the photographs by William Widmer, who also took pictures for my Al Jazeera America (RIP) feature on transgender Catholics. I’ve been continuing to explore the prospects for a more cooperative economy wherever I can. I profiled a co-op Internet service provider in the mountains west of me; I argued in The Guardian that cooperative economics might be the best way to make good on Bernie Sanders’s call for political revolution. Together with a small, distributed team (join us! ), I’m developing The Internet of Ownership, a directory of cooperative online platforms and the ecosystem that supports them. This week, also, Trebor Scholz and I are completing the manuscript for our collaborative book (with around 60 co-authors) on platform cooperativism. In my column for America magazine this month, I reflected on Pope Francis’s emphasis on process in his governing philosophy, which can help us think through the U.S. presidential election as well as the pope’s own recent statement on family. 2016.04.30: Boulder, CO – Panelist at “Starting Worker Co-op Businesses,” CU’s Environmental Design Building #1060, 12-4 p.m.
2016.05.21: London, UK – “Platform Co-ops: Rewiring the Sharing Economy,” Newspeak House, 7-9 p.m.
2016.06.10: Melbourne, Australia – Platform cooperativism workshop, 2-5 p.m.
Everyone is talking about Donald Trump. I can’t bring myself to do it. As we choose our apocalypse from among the presidential candidates, I’m starting to think that the best hope this election season may come from state-level initiatives, which in turn could open doors for the rest of the United States. This week, I profile two of the most interesting ones. Colorado could be on the brink of embracing universal medical coverage. Thanks to an effort in recent months led by a band of doctors and volunteers, a proposal called ColoradoCare is going to be on the ballot, which, if passed, would create a quasi-cooperative healthcare system for everyone in the state. In an article for Vice, I introduce some of the people behind the effort, as well as their delectably Koch-backed detractors. Meanwhile, a group of Oregonians wants to put a price on carbon and distribute the proceeds to everyone. In YES! Magazine, I interview Camila Thorndike of Oregon Climate, who is leading the effort. As the COP21 talks wind down and Finland considers a basic income policy, the moment seems especially ripe for such adventuresome thinking. For more on ColoradoCare, too, see my earlier interview in YES! with its chief architect, Irene Aguilar, a physician and state senator. Now, back in Colorado, I’m working with a fearsome team of visionaries and cooperators to strengthen the cooperative ecosystem here. More TK. It’s Advent. As I wrote in my last column for America, the Mother of God is very pregnant right now. It was surprising how many fellow Catholics, who have no trouble contemplating the wounds of Christ-crucified, squirmed at reading about Mary’s stretching skin and discomfort. But whatever. This season is a great time to join the struggle to ensure necessities like paid family leave and access to the means for a safe, minimally invasive birth. Last week, also, Pope Francis proclaimed a Jubilee of Mercy by opening the Holy Doors of St. Peter’s in Rome. In New York, some friends of mine took the occasion to call for the archdiocese to “Open These Doors” of its shuttered buildings for the city’s tens of thousands of people experiencing homelessness. Take part in their Advent calendar here, and read my interview with them at America, as well as Kaya Oakes’ report for Religion Dispatches. The existence of a pope has never squared well with how we do business in the United States. In The Nation this week, as the United States anticipates and dreads the arrival of Pope Francis, I offer a report on the economics of the so-called radical pope. I draw from my decade-plus experience in the contradictions of papism, plus interviews with leading Catholic economists and economic innovators. The Nation even saw fit to include a list of some of my favorite classics of Catholic economic thought, forthcoming along with the article in the next issue. For more on Francis, don’t miss my latest column for America magazine on the idea of the commons in the pope’s thought, as well as a controversial blog post about the ecology encyclical and an interview about just how far the Vatican has come on environmental issues. As much as I still love getting invited to awesome things friends are doing in New York (I do), it turns out that I don’t live there anymore. A few weeks ago my family arrived in Boulder, Colorado, where I am now serving as a professor of media studies at the University of Colorado’s new College of Communication, Media, and Information. And what’s that book in the way of the mountains? Well, just in time for hauling my books halfway across the country, my dear God in Proof has been released in a lighter, convenient paperback edition—the perfect companion for adventuresome bike rides. Get your copy today! We’ve lost our language for talking about debt—for knowing the usurious from the upbuilding, the good from the bad. That’s why you should be sure to pick up Yes! Magazine‘s current “debt issue”, full of stories and wisdom from people like Charles Eisenstein, Laura Gottesdiener, and Raj Patel. I’ve got an essay in there too on the question of what debts are actually worth having. Pick up the issue from newsstands today, and look for my essay online starting September 15. You might have noticed that a lot of my articles over the past year have dealt with efforts to build a more democratic Internet. Those efforts are now building toward a first-of-its-kind event at the New School on November 13-14: Platform Cooperativism: The Internet, Ownership Democracy. Featuring co-op developers alongside tech CEOs, venture capitalists alongside domestic workers, my co-organizer Trebor Scholz and I are trying to throw an historic coming-out party for the cooperative Internet. Register now. One last thing I’d like to share with you is a story that appeared recently at Killing the Buddha, an oral history I recorded last year while working on an article for The Nation about a group of hackers modeling their commune in Italy on a medieval monastery. One evening when the others were gone, one of those hackers, elf Pavlik, recited a detailed account of living for the past five years without money or government documents. Read what he told me here. For about a decade now, I’ve been undertaking a gradual and ever-escalating experiment in using free and open-source software for my everyday needs. It has come to feel like an integral part of my work as a writer and thinker; the computer, after all, is often the chief companion of my day. This has become all the more important as my reporting has focused on resistance to profit-driven economies and domineering ideologies. In the new issue of The New Republic, I write about the pleasures of the community-based technology I use. I mean it as an invitation and a plea—to join the challenging but satisfying task of aligning our digital lives with our analog values, to use technology that depends on how well we build together and learn from each other. Read the article in The New Republic here. To help spread the word about it, retweet this, share or like this, and upvote this. Across the political spectrum, the idea of a no-questions-asked payout for everyone is gaining momentum. I’ve written about how Silicon Valley is getting behind the concept as an antidote for what automation is doing to the job market. Libertarians want it as a replacement for means-tested welfare programs, while socialists see it as a step toward abolishing the wage system. It seems like a crazy, impossible idea, but it may not be for long. On May 26 at Civic Hall in New York City, I’m going to be part of a discussion about the prospects of universal basic income with progressive entrepreneur and activist Peter Barnes. Barnes’ proposal for a “citizen’s dividend” based on carbon emissions is an ingenious way of both mitigating climate change and strengthening the economy. We’ll be joined by scholar and basic-income advocate Michael Lewis, as well as Institute for the Future fellow Natalie Foster. RSVP on Facebook and Eventbrite here. To learn more about universal basic income, listen to recent podcasts on the subject from my friends at Belabored and Disorderly Conduct. If you could make a new economy from the ground up, what would it look like? Enric Duran has tried—twice. In 2008 he became famous after borrowing half a million dollars from Spain’s banks and refusing to give it back. He then masterminded the Catalan Integral Cooperative, a network of independent workers that may just represent the future of work altogether. Now, still in hiding because of his heist, Duran is orchestrating his next utopia, a cryptocurrency-infused global financial system. In this month’s issue of VICE magazine, I go face-to-face with Duran and on a tour of his remarkable undertakings. Read the article VICE‘s website or look through the print version. While you’re at it, retweet this. I had a great time speaking about God in Proof at St. Thomas University in Fredericton, Canada. I talked about cooperativism on Majority Report with Sam Seder and at Civic Hall with a panel of sagely organizers and thinkers. I upset some white people and prayed the Angelus. What if we owned the Internet? Would we get paid for our likes and comments? What privacy policies would we write for ourselves? Last month, the Silicon Valley-based network Shareable dispatched me to write a report on the growing movement to experiment with new forms of economic democracy online. The folks at Shareable recognized that, more and more, the so-called “sharing economy” is being recognized as extractive and invasive. In search of alternatives, I looked at cooperatives, networks of freelancers, cryptocurrencies, and more. A popular mantra among sharing-economy boosters has been “sharing is the new owning.” What I found is the opposite: Read my report at Shareable.net. So old that it looks like new? I said that this stuff is new, but I was kind of lying. Lately I’ve been trying to keep my eye out for things that are old and new at the same time—or, as Catholic Worker founder Peter Maurin put it, “so old that it looks like new.” That’s why I also wrote about cooperative ownership in my latest column for America magazine, with a focus on the long legacy of Catholic cooperativism, from monastic communities to Mondragon, the largest network of cooperatives in the world. This deeper kind of sharing is present in many traditions—especially those suffering gross injustice. As we wrestle to come to terms with the disparities of economic and police power that plague our communities, now is a good time to be reading Jessica Gordon Nembhard’s recent book, Collective Courage: A History of African American Cooperative Economic Thought and Practice. 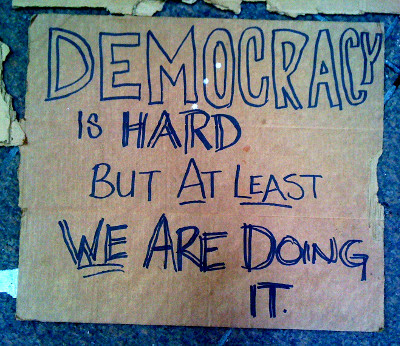 But business will only get us so far; now is also a good time to be in the streets. Hackers are fascinating—the good ones, the bad ones, the ones in between. From corporate elites like Bill Gates to fugitives like Edward Snowden, we look to hackers to provide for us, to excite us, to liberate us. But why? This is the question that took hold of me in the midst of my summer’s journey with the Wisdom Hackers—a group of artists, writers, entrepreneurs, and activists exploring elemental questions together. 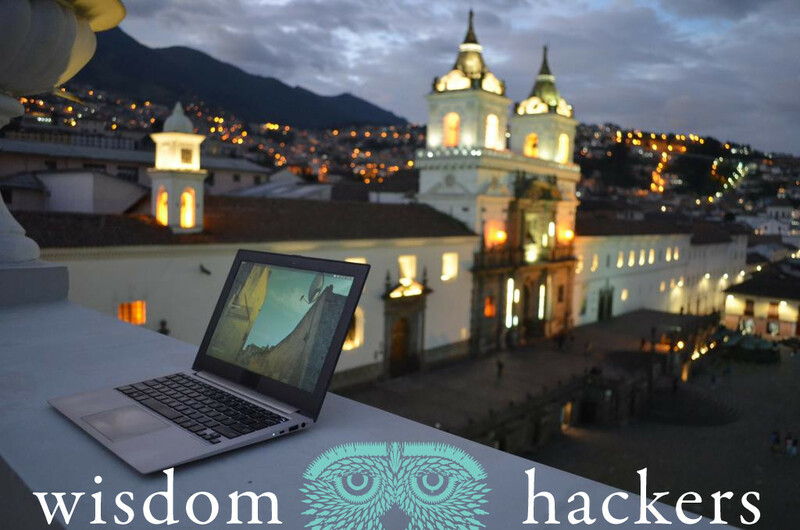 I traveled to Paris, Berlin, southern Italy, to Ecuador, and Silicon Valley, and wound up at a hacker congress in New York. This week, my chapter appears as part of our serial digital book. For just a few bucks, you can read my essay in your browser or in a dedicated app, along with Anna Stothard in defense of hoarding objects, Brett Scott on the creepy ecology of smart cities, Tom Kenning on festival temporality, Lee-Sean Huang on the thinking body, Alnoor Ladha on mystic anarchism, and our instigator Alexa Clay on being the Amish Futurist. And more. Read a short teaser of my 7,000-word chapter, just published in Vice—”Our Generation of Hackers.” But don’t let that keep you long from subscribing to the book today. Spread the word about it if you can, too. I’ll also be discussing my chapter on Twitter this Thursday morning at 8:30 am EST / 13:30 GMT (the Europeans set the time!). Join us on the hashtag #wisdomhackers. In The Chronicle of Higher Education, I profiled Benjamin Hunnicutt, a historian of struggles for shorter working hours and the dream of leisure. His latest book, Free Time: The Forgotten American Dream, is a must-read (and would make a lovely holiday gift). As part of ongoing reporting on efforts to build a more cooperative, just economy, I wrote in Al Jazeera America about a historic conference on the commons, and published columns in the Catholic weekly America on the commons and cooperatives—oh, and a guide to the recent election with Simone Weil. My books on God and Occupy are also no less available, either directly from University of California Press (God here, Occupy here) using the special discount code 13M4225, or wherever else books are sold.